so it is imperative that they always be clean! 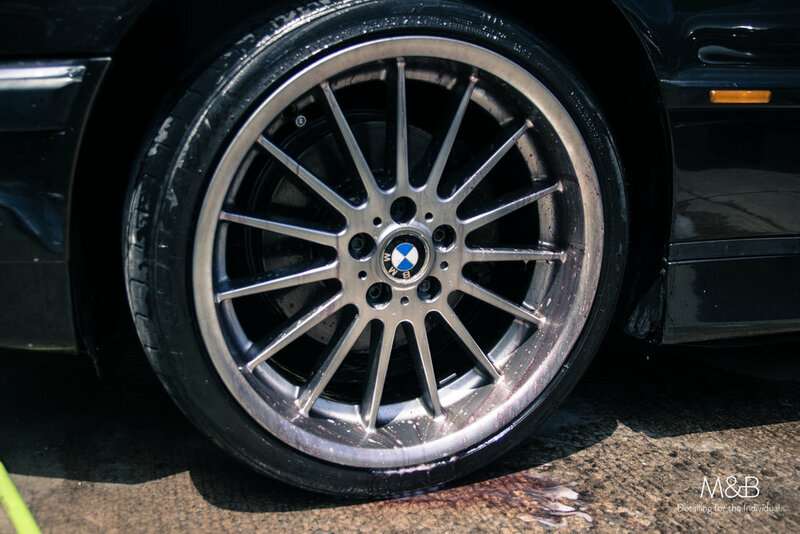 However, you want to be sure they're cleaned the safe and proper way, and even that process can be further enhanced by our ceramic wheel coating. This ensures that they look their best over the years of regular driving, and more especially, track days or after spirited back road tours. FOAM! Remember that many scratches come from contaminants - loose dirt, pebbles etc. 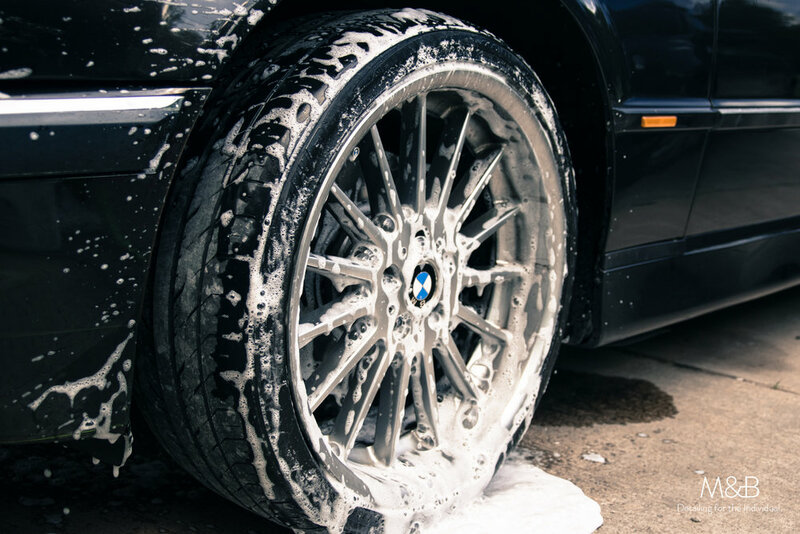 ; Foaming is an extra step that will help make your wheels last by grabbing any of those loose particles and letting gravity work for you. ...Its also fun to watch. After the foam has cleared a bit, lightly rinse the wheel. A KEY INGREDIENT: Following that, use a fallout remover (I prefer IGL Iron). A fallout remover is what does most of the work here. Most brake dust is metallic in nature (ever heard of metallic brake pads?). 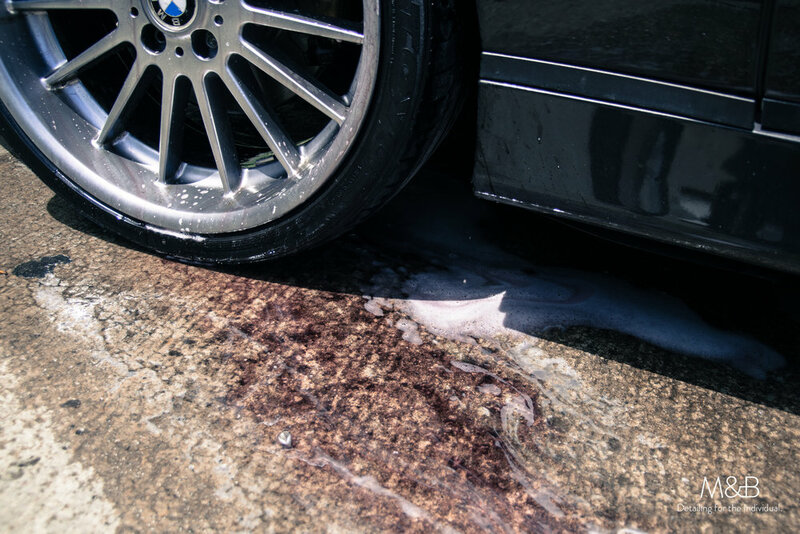 Fallout remover is a solution that liquefies even the most baked on brake dust, saving you from scrubbing (and potentially scratching) your wheels. It is imperative that every car enthusiast keep some in their at-home arsenal. 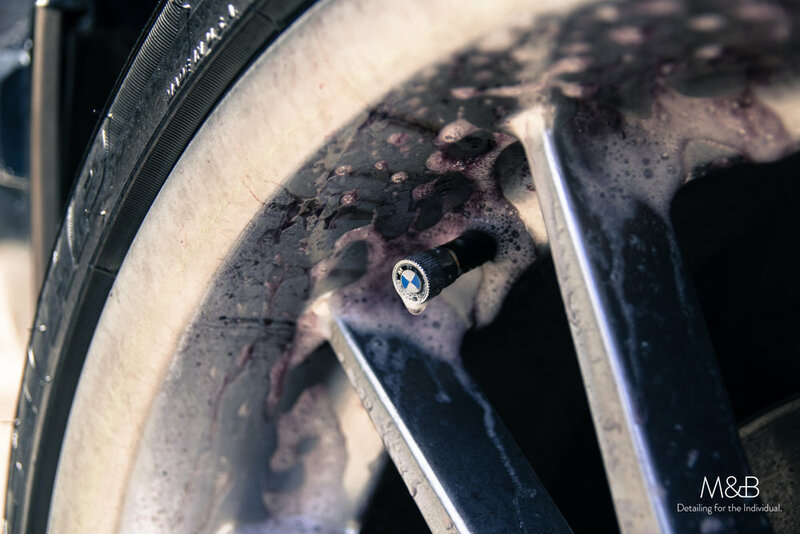 Spray generously on the wet wheel and tire, watch the magic happen. Excessive buildup. Slapping dressing on top of old, sludgy dressing is counter-intuitive, as it will have nothing to stick to. Silicone based tire dressings. They prematurely dry out the rubber and never last. I recommend IGL Tyre, as it is water based and can be layered per application according to your taste in sheen. M&B has used it for the past two years and never once had an issue with sling. 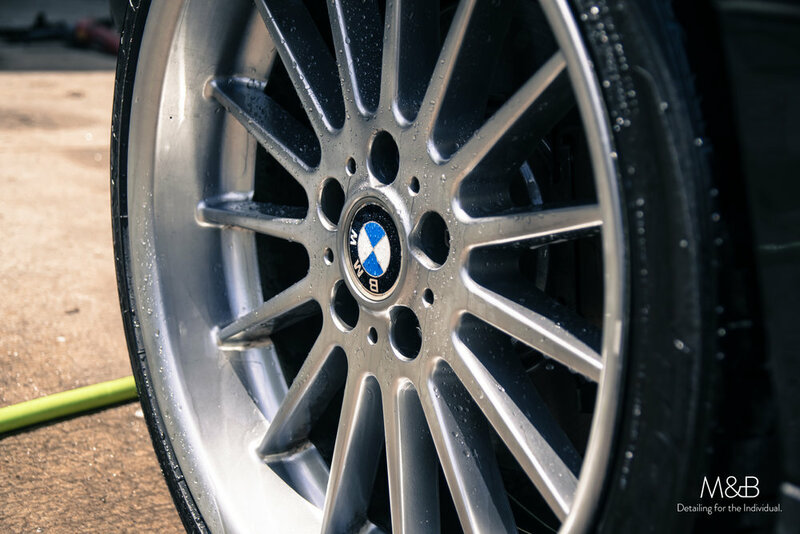 Proper care of your tires is just as important as the wheels. *Notice the dark purple on the ground above - That is liquid brake dust. Much better than manually removing baked on dust, I'd say. Following the fallout remover, its time to get what remains with a microfiber or wool wash mitt. Due to the dirtier nature of wheels (closest thing to the ground next to the tires), use a dedicated mitt and bucket for the wheels. That being said, treat your painted wheels just like the painted panels on your car. Work top to bottom so that any remaining contaminants fall to the bottom and outward from the rim. On spoke-heavy wheels, I find that it’s most effective to focus on one “window” at a time to ensure the entire wheel is cleaned. Double-check your work, as wheels always seem to have spots that go uncleaned. It can happen to anyone - but the best detailers will double, then triple check their work to ensure. Its in the details! Rinse thoroughly. Inside of the lug holes, all around the spokes. Again, a top to bottom motion comes in handy here! Either air dry, or feel free to use a clean microfiber drying towel to ensure water spots aren't left behind. Repeat steps 1-5 three more times. ... Or call M&B at 573-521-7235 and have it done on site, anywhere, anytime.